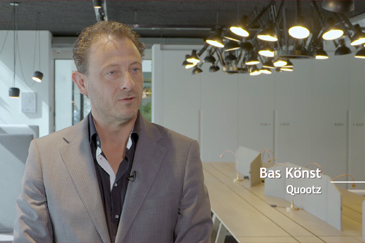 The Dutch company Quootz BV is a distributor and implementation partner of advanced software for product and sales configuration. With its product “Merkato” Quootz offers the best of both guided buying and product configuration. Quootz BV was founded in October 2010 by Bas Könst and Christiaan ten Klooster. Both Könst and Ten Klooster are originally mechanical engineers with a history in 3D CAD, PDM, parameterisation and modular thinking. Their passion has brought Quootz where it is today.